Brochures are the simplest tools to reach out to more people. Contributions for the same would really help us spread out. 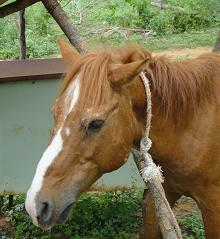 SAMABHAVA’s most urgent short term need is finding sponsors for our rescued and adopted equines. You and your family members could visit the animal adopted by you as well as our other inmates, could bond and spend time with the animal(s)! We make ends meet in the absence of sponsors. However, such added expenditures take away from the other activities and tasks we need to accomplish. You could adopt a pony at 4,000 INR a month and a horse at 5,000 INR a month. These figures cover only the feed and maintenance for the animals. The medical requirements are borne by the NGO. Details of a few of our other equines that need sponsorship will be made available on this page soon. The work done for us by our veterinarians is not something the NGO can naturally afford. Any contributions towards the same would help ease our monetary burdens so that we can channelize our funds for other critical requirements. At present, all the travelling, including visits to our three shelters, emergency visits as well as field visits are borne by the NGO. We occasionally receive donations that cover one or two field visits. The Manager would require a mode of transport (i.e. a two wheeler) to commute from one place to another for SAMABHAVA work. Our financial situation does not allow such expenses at present. The NGO office stocks up 90% of the emergency and general equine medicines required. Certain medicines need to be refrigerated. A small refrigerator would help us store our medicines in a more effective manner as well as avoid wastage. At present, SAMABHAVA has a ‘black & white’ printer, belonging to the Managing Trustee, which helps us in our day to day requirements. A colour printer would help us to create more effective brochures/documents which will have a better impact. SAMABHAVA needs shelter space. If you know anyone with a minimum of 2 acres of unoccupied land within city limits or 10-15 kms from the city, who is willing to lease it to us for a nominal sum for at least 3 years, kindly spread the word about SAMABHAVA. You could help us towards our end goal of having a common shelter for all our rescued equines. With this in place, we can reduce dependency on third parties and have one common place where all our ponies can live a retired life of dignity. This will also help us take on more rescues and adoptions. 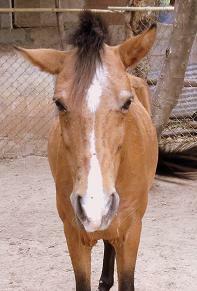 Throughout our rescues in the past, we have used hired vehicles for rescues and transportation of equines. SAMABHAVA’s work would be much more effective if we were to have a rescue vehicle of our own. With an ambulance, we would be better equipped for emergency cases as well. The vehicle would also be extremely helpful in carrying out field visits in places apart from Bangalore. Kindly go to the Donate Page for information on how you can contribute.